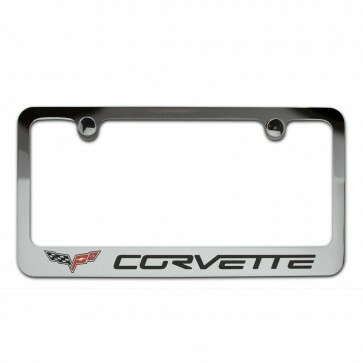 This high quality, heavy cast solid brass frame is the perfect accessory for your Corvette. The Corvette logo and cross flags emblem are engraved on the bottom of this mirror polished chrome-plated frame and meticulously hand painted with UV rated enamel for long lasting beauty. Rust resistant. Mounting hardware included.